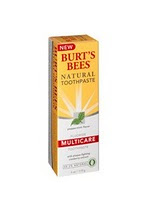 Get your Free Sample of Burt's Bees Natural Toothpaste Multicare with Fluoride Formula. This will be a great sample to stick in your travel bag! Don't forget....today's the day for the Denny's FREE Grand Slam. RUN, don't walk! to Denny's for a Free Original Grand Slam®, Tuesday, February 9, from 6 a.m. to 2 p.m. Thanks for the comment on my blog and for leaving my link on this post! I love getting free samples in the mail!! I will have to check this out, I to do like to get free samples. Have a nice day. I had to take the kids to the dentist and then to a wake. We decided afterward that we were going to Denny's. Not happening! It was crazy. I would say there were at least 100 cars. We went to Cracker Barrel. It was $40 but at least we didn't have to wait 3 hours in a blizzard.